Needless to say, you have to go to TajMahal when you go to Agra. One of the most beautiful monuments, this famous building was a token of love from Shah Jahan to his beloved wife MumtazMahal. 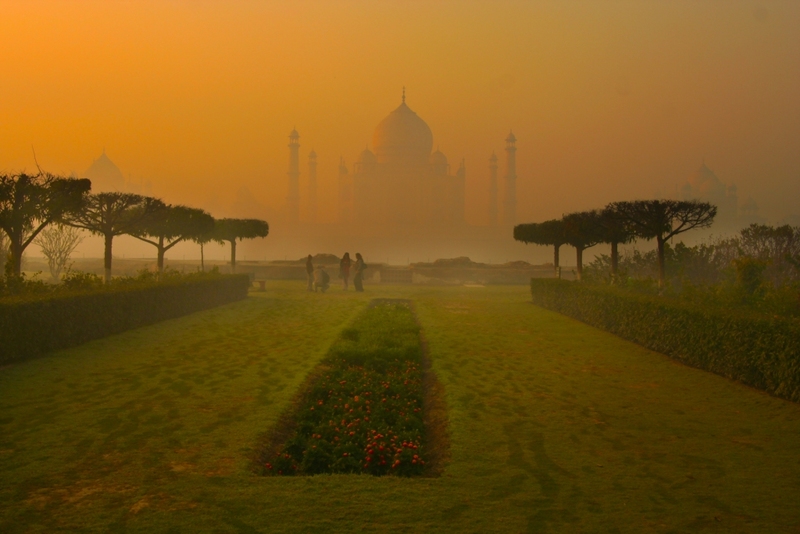 TajMahal is listed in one of New Seven Wonders of the world and is listed among the three World Heritage Sites in Agra. A fort initially constructed for military and office purposes by the Mughal is a ‘history encapsulated’ place. The fort that takes you back to Mughal times, where Aurangzeb imprisoned his father for 8 long years Shah Jahan. Later in time, the fort was used for residential purposes. Popularly known as the ‘City of Victory’, the land where an epic battle between Babar and RanaSanga took place. The place has several palaces, mosques and public buildings. These architectural beauties are a live example of how magnificent were those times. Sikander is here! The resting place of the Mughal Emperor Akbar the Great is Akbar’s Tomb. Only 13 kilometers from Agra fort, you can go to Akbar’s Tomb via taxi. Akbar’s tomb is spectacular in the sense that it reflects the entirety of Akbar’s personality. The tomb is vast and beautifully designed with red-ochre sand-stone is right in the middle of the lush green grass. Magnificent geometric designs, beautiful coloured tiles and adorned with exquisite inscriptions from the Holy Quran, Jama Masjid was constructed in 1571 A.D. during the reign of the Mughal Emperor Akbar the Great. The place is decorated like Jannat (Heaven) on the eve Mohharam. Grassy yet plain, this crescent-shaped bagha cross the Yamuna River is identified as the ideal location for enjoying the sight the beautifulTajMahal by Shah Jahan in the loving memory of his beloved wife. In a literal sense, MehtabBagh means Moonlight Garden. Did the lover inside you wake up? So what are you waiting for, book a taxi from Delhi to Agra now, surprise your love with the surprise booking and head to a wonderful weekend now! Previous Post Your Himachal Pradesh Checklist!